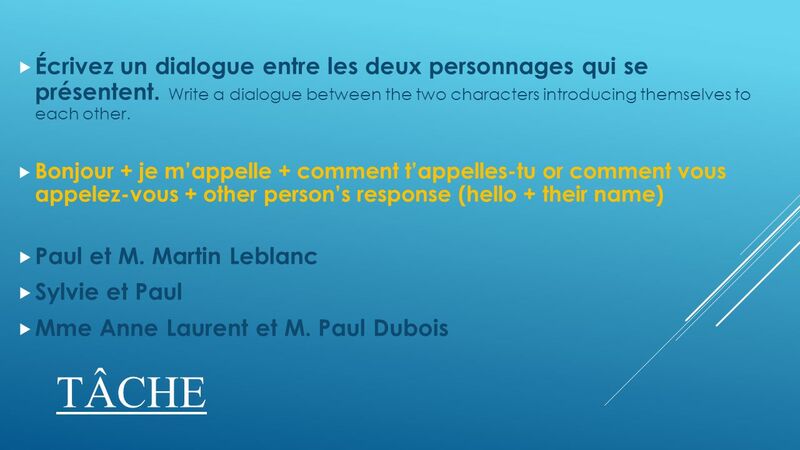 LES INTRODUCTIONS: Je me présente. 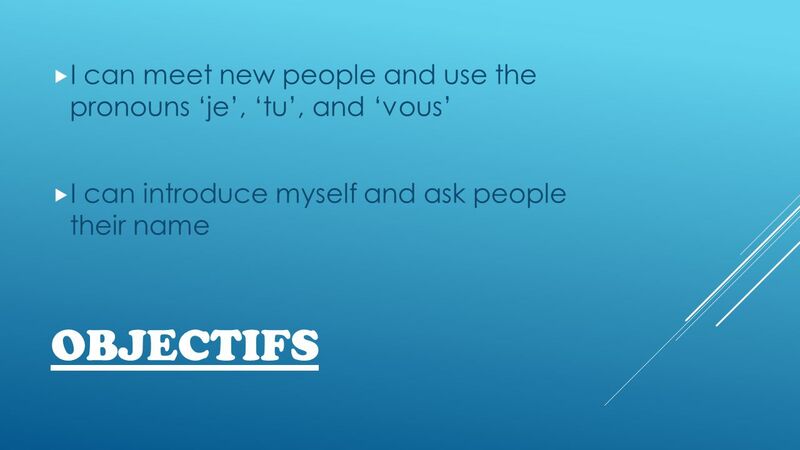 OBJECTIFS  I can meet new people and use the pronouns ‘je’, ‘tu’, and ‘vous’  I can introduce myself and ask people. 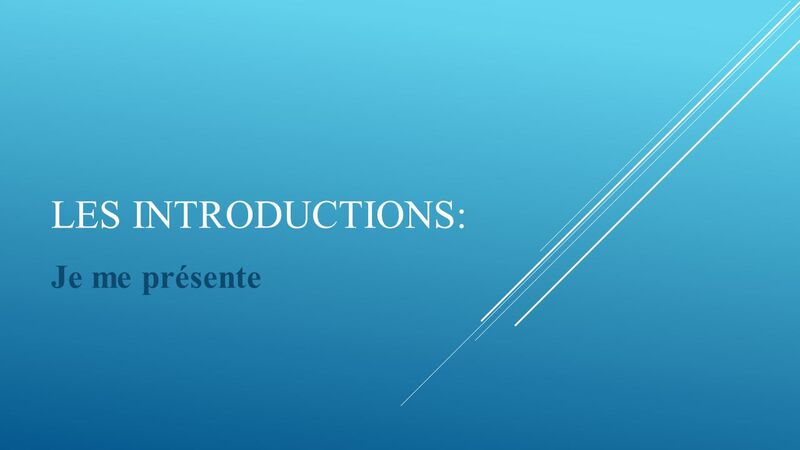 Download ppt "LES INTRODUCTIONS: Je me présente. 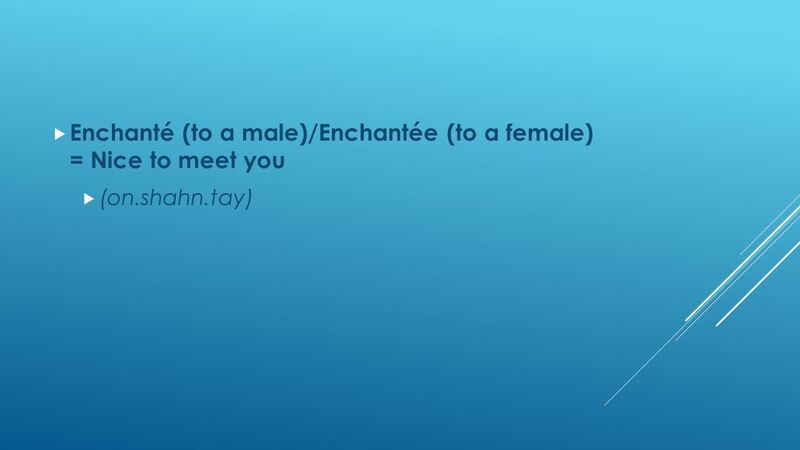 OBJECTIFS  I can meet new people and use the pronouns ‘je’, ‘tu’, and ‘vous’  I can introduce myself and ask people." World Language Survey le 5 septembre 2013. BIENVENUE By Billie Collins. Contents page Introduction page 1 Pets page 2 How old are you? page 3 Where do you live? page 4 When is your birthday? page. Direct and Indirect Pronouns Abbigale Murphy. 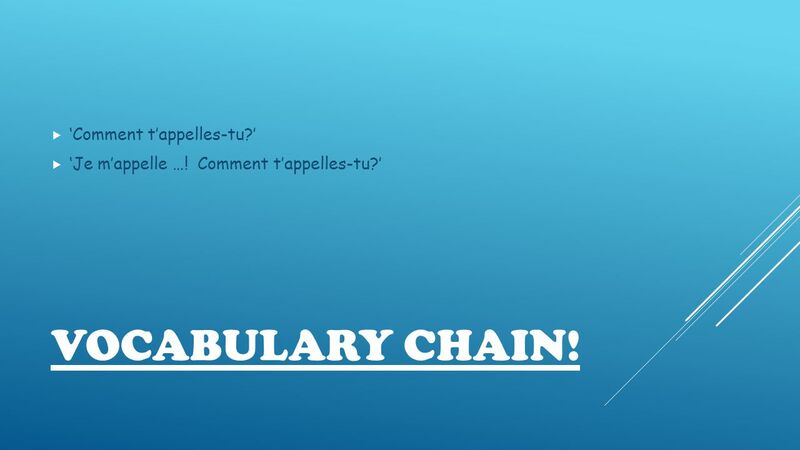 Direct Object Pronouns English translationIndirect object pronouns English translation Te/t Lui Nous vous. Click on the speaker icon to listen. Then click arrow Listening Exercises For MOTIFS Module 1 for the audio CD in the workbook Exit. Les verbes réfléchis à limpératif et avec un infinitif. 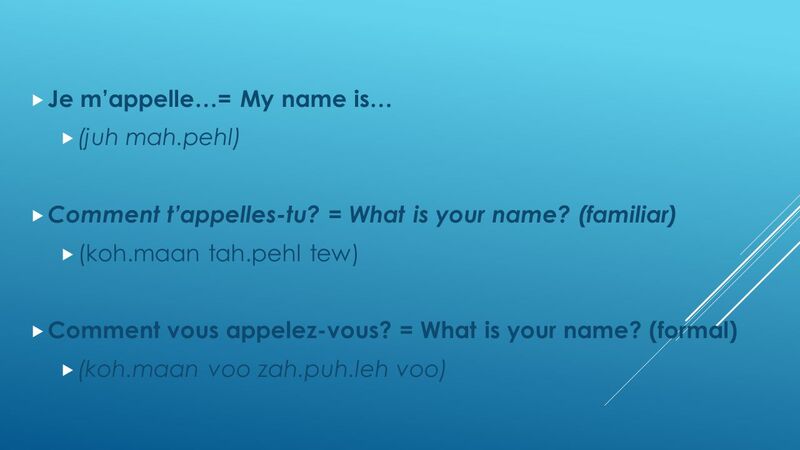 Conversational Strategies Ways to carry on a conversation in French.